Give back to others, experience spectacular sights and cultures and have fun on a life changing experience. The Kruger to Coast Adventure Tour will take you through some of the best that southern Africa has to offer in terms of wildlife, culture and beaches. 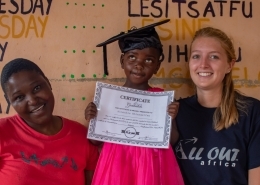 Begin in Eswatini where you will get involved in grassroots community projects and make an active contribution to improve the lives of orphaned and vulnerable children. Embark on a 5-day camping safari through the world-famous Kruger National Park to spot big game. Venture to tropical Mozambique where you spend time on world-class Indian Ocean beaches. Not only will you have the amazing opportunity to see some of Africas most incredible wildlife, snorkel with Whale Sharks and paddle to tropical palm-fringed islands but you will also have the opportunity to participate in an important community development projects. Embark on a 5-day camping safari through the world-famous Kruger National Park to spot big game. Venture to tropical Mozambique where you spend time on world-class Indian Ocean beaches. Not only will you have the amazing opportunity to see some of Africas most incredible wildlife, snorkel with Whale Sharks and paddle to tropical palm-fringed islands but you will also have the opportunity to participate in an important community development projects. During your stay, you will be accommodated in a variety of lodges as you tour Southern Africa, but your home base will be the award-winning Lidwala Lodge in Ezulwini Valley. Three meals a day will also be provided, some on a self-serve basis and others cooked for you. By signing up with us you are donating your time and skills to work directly with communities in need through a structured project. There are many benefits of volunteering with an organization like ours. Sometimes it is hard to find projects to support in a foreign country that are safe, worthwhile and reputable. When you sign-up for one of our projects for 2 or 12-weeks, you become part of a bigger, sustainable plan that our team of qualified staff has carefully crafted. You will also receive travel and visa support, orientation, a safe place to stay, logistical support, in addition to clear expectations of the work you will do. This is why we charge a fee for volunteering or interning abroad. Your project fee goes towards a company you can trust, an experience that is worthwhile and an opportunity that will make a positive and sustainable impact on the community you have chosen to serve. There are 3 distinct parts to this travel experience each with its own interesting flavor. In Kruger, you will be joining a camping safari holiday. Here your days will be spent on game drives searching for the incredibly diverse wildlife that this world-renowned national park has to offer, while at night you will be camped out under the African stars, sitting around a crackling campfire listening to tales of the African bush. While In Kruger, your guide will teach you about the animals and plants of the African Savannah and how important it is to protect this beautiful but fragile Eco-system. When you arrive in the beautiful mountainous Kingdom of Eswatini your role will switch to volunteer as you get involved in projects that aim to uplift the lives of orphaned and vulnerable children. Sports which includes assisting with running sporting activities with our NCP children including swimming, dancing, and other fun games! NEW! 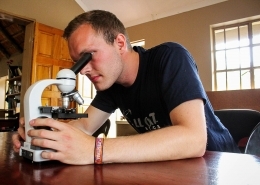 Savannah & Wildlife Conservation this project involves conducting multiple types of research with different species. Some of the conservation activities are conducted at specific times of the year whilst others are conducted all year round. Our coordinating project scientists will teach you how to assist with data collection throughout your project duration. The final week of your experience is spent on the beautiful golden sand beaches of sunny Mozambique. After two weeks of hard work in Eswatini it’ll be time to relax in this tropical climate and swim the blue waters of the warm and inviting Indian Ocean. Mozambique is a colorful and vibrant African country like no other and it is here that you will get to spend the last days of your trip -a wonderful finale to an inspiring tour. * Please note that the activities listed above are based on availability and may vary by season. These are samples of activities that are volunteers are likely to participate in. IMPORTANT NOTE: When you work with children, you will be in the rural areas where modesty will be an important factor. Please make sure you dress appropriately- failure to do so may result in you missing a day of volunteering. More information about the dress code will follow in the pre-flight guide. 8:00 Travel to your placement and get ready to begin your day. 8:30 Participate in your volunteer project assisting with fun activities. Day 1 Fly into OR Tambo Airport, Johannesburg where you will be met by All Out Africa staff members who will transfer you by road from Johannesburg to the Kingdom of Eswatini. It is approximately a 5-hour journey from the airport to you to your accommodation in the Ezulwini Valley. Day 2 The second day begins with an informative presentation that will brief you on all you need to know about the culture and country, how to effectively contribute during your volunteer experience and what to expect on the tours. 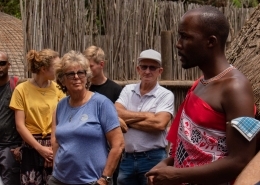 In the afternoon you will embark on a Cultural Tour where you will visit the museum to learn about Swazi history and culture and then will walk around a real Swazi village to experience day-to-day life in Eswatini. The tour finishes with a local culinary delight – a traditional Swazi braai! Day 3-7 Conservation tour, Kruger National Park, South Africa Kruger National Park is probably Africa’s most famous Conservation area. Spanning nearly 20,000 km2 it covers a vast array of habitats and associated wildlife. It has an aura of ancient times and offers some best opportunities to view Africa’s big game. We venture on a 5-day tour into the heart of Kruger Park including four nights camping in the park and unlimited game drives exploring the vast wilderness with the expert guidance of one of our wildlife guides. Previous groups have had great sightings of lion, elephant, rhino, buffalo, leopard, wild dog, giraffe, zebra to name just a few animals! There is an abundance of wildlife and birds to be spotted on your Kruger safari. 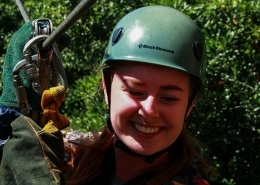 You will also have the exciting opportunity to take part in a guided Bushwalk (optional extra) as well as experience a night drive where you’ll go in search of nocturnal wildlife. Day 7 you will depart Kruger for the beautiful Kingdom of Eswatini. 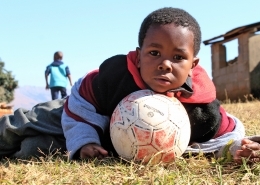 Day 8-20 Volunteer Projects, Eswatini You will spend the next 10 days volunteering on your selected project (Orphan Care/Building/Sports Development). 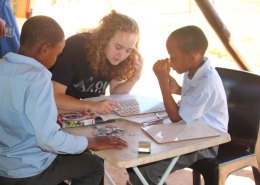 If you are a 4 weeks Kruger to Coast volunteer you will not be involved in the Teaching and day to day care of children at the Neighbourhood Care Points. As the children become very excited about new arrivals, the frequent change-over of volunteers disrupts the study and the impacts on attachment issues experienced by the children. 6 and 8 weeks Kruger to Coast volunteers, however, will have the chance to participate in assisting with the teaching and care of the children. 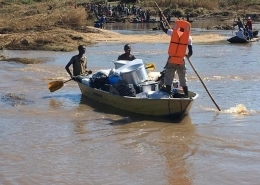 During this time you will also be supported to obtain your visa to enter Mozambique (the cost of a visa is not included in the program cost) and will also visit the Mantenga Cultural Village where you will have the chance to experience traditional Swazi culture and lifestyle as well as witness traditional dancing and singing. You will also be invited to participate in learning the local dance moves! Day 21-26 Mozambique Beach & Whale Shark Tour Mozambique is world-famous for its idyllic tropical beaches on the Indian Ocean. As a former Portuguese colony that has come out of a prolonged civil war, it is now booming as quite possibly Africa’s top beach destination. 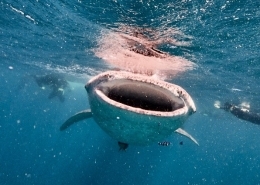 Tofo is a laid-back beach village in southern Mozambique and offers some of the best opportunities in the world to snorkel in the wild with the world’s biggest fish – the Whale Shark. With diverse coral reefs, Whales, Manta Rays, dolphins and nesting turtles Tofo is a marine paradise and yet it is relatively close to the vibrant historic trading port of Inhambane. We venture on a 7-day tour to Tofo where you will experience the laid-back beach lifestyle of this colorful and vibrant country. You will take an ocean safari to snorkel with the magnificent Whale Shark and also have a full day kayak trip across the blue waters to the palm-fringed islands in the Inhambane Bay. 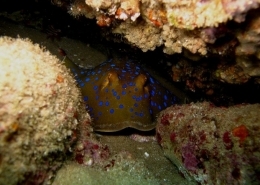 If you are a certified diver you will have the opportunity of exploring the spectacular fish life of the coral reefs! There is also the option to take part in an Internationally Accredited Open Water or Advanced Dive Course (extra cost) should you wish to dive. Here you’ll have the opportunity of exploring the spectacular fish life of the coral reefs and the chance to find the “Tofo Big 5” – Whale Sharks, Manta Rays, turtles, dolphins and Humpback Whales. Day 27 Travel back to Eswatini. Day 28 Ezulwini, Eswatini At the Lodge in Eswatini you will have a full day to relax, pack up and make preparations for your departure the following day (4-week volunteers). Day 29 Return home Sadly all great adventures must come to an end and on your final day you will leave the backpacker lodge in Eswatini and transfer by road to Johannesburg to catch your flight. 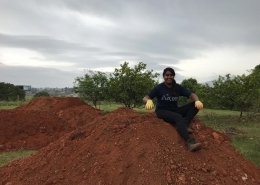 Day 28-40 Ezulwini, Eswatini On returning to Eswatini from Mozambique, you will head back to your assigned volunteer project and have more time to contribute to your project. Airport transfer is included and facilitated by All Out Africa.